Vitamins belonging to group B are not produced by the human body. Hence, it is necessary to provide them through a varied diet. However, today’s highly processed food doesn't provide them in the right amount, so their supplementation is recommended. 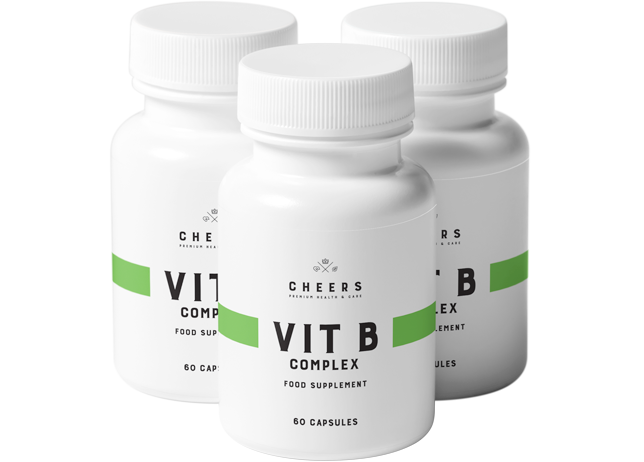 Cheers B-Complex is the most complete set of vitamins from this group, additionally enriched with choline, inositol, and piperine. Also known as thiamine, vitamin B1 participates in energy and neurophysiological processes. It supports the proper functioning of the nervous system. Riboflavin plays the largest role of all the vitamins from group B in the metabolism of proteins, fats, and carbohydrates. It allows the nervous system to function properly and decreases the feeling of tiredness and fatigue. Vitamin B2 affects the proper vision, skin, and mucous membranes condition. Niacin, also known as vitamin PP, supports the proper functioning of the nervous system. Vitamin B3 also supports the maintenance of normal psychological functions. Pantothenic acid contributes to proper energy-yielding metabolism. Vitamin B5 reduces the feeling of fatigue and contributes to the correct synthesis and metabolism of steroid hormones, vitamin D, and some neurotransmitters. Vitamin B6 helps to process energy supplied by food. Through participating in the production of antibodies, vitamin B6 supports the functioning of the immune system. It also plays a role in the regulation of the body's hormonal balance. Biotin affects the proper functioning of the nervous system. It also allows the maintaining of good hair condition and normal psychological functions. The basic function of vitamin B9 (folic acid) is cell growth regulation. Along with vitamin B12, it also takes part in red blood cells production. Vitamin B12 is characterized by a wide spectrum of influence on the human body. In addition to the key role in red blood cells production, it participates in the normal course of neurological and psychological functions. Vitamins from group B are water-soluble. They are not produced and stored in the body, so one should remember about their systematic, daily delivery. 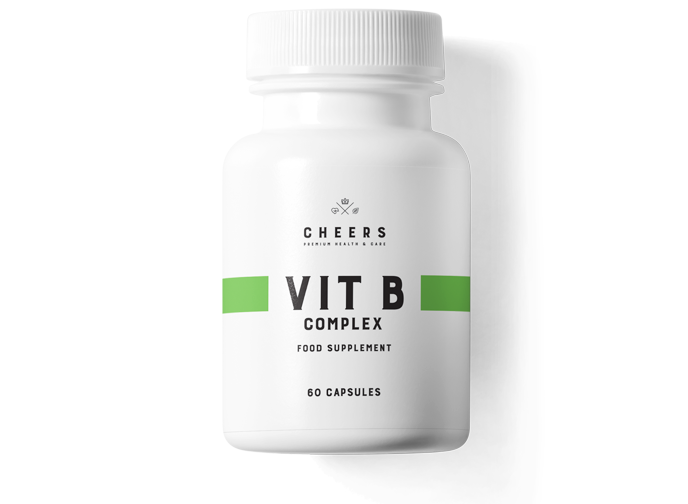 Cheers B-Complex composition has been enriched with choline and inositol, called Vitamins B4 and B8, and piperine, which increases the bioselective absorption of B-vitamins.